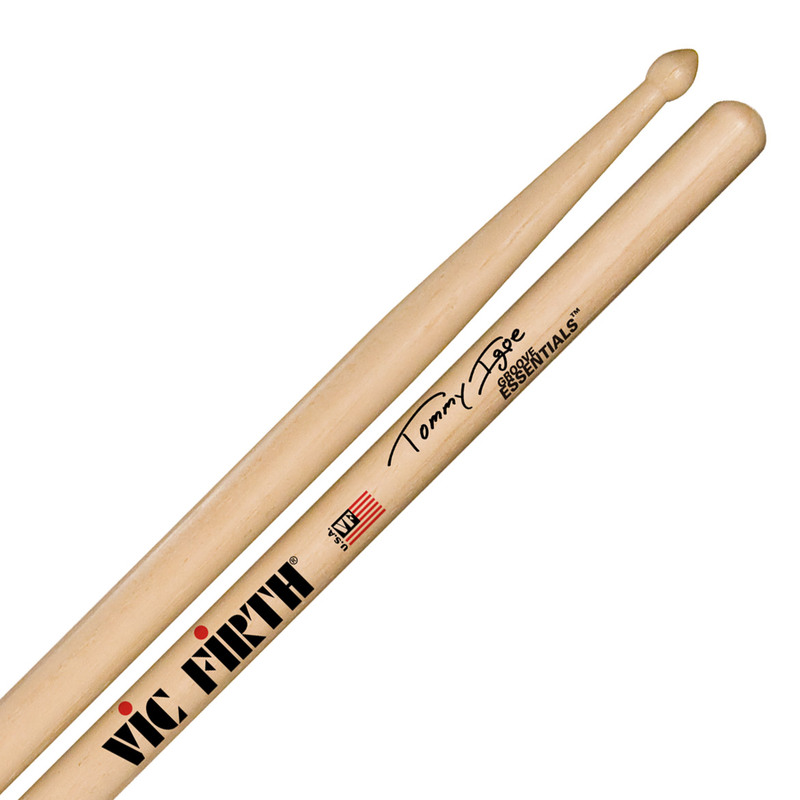 With such a wide array of musical styles explored during his career, it’s no wonder Tommy turned to Vic Firth to create a very versatile stick! Tommy’s new Groove Essentials Signature Stick features a Taj Mahal tip that is ideal for sensitive cymbal work. The extended taper and length add leverage to this hickory stick for great feel and power when needed. The stick gets its Groove Essentials name from Tommy’s series of books, DVDs and posters which are currently some of the world’s most popular drum instructional products. His concern for education is a high priority in his life and blends perfectly with Vic Firth!